Running in Cape May, Jersey Shore. Best places to run in Cape May. 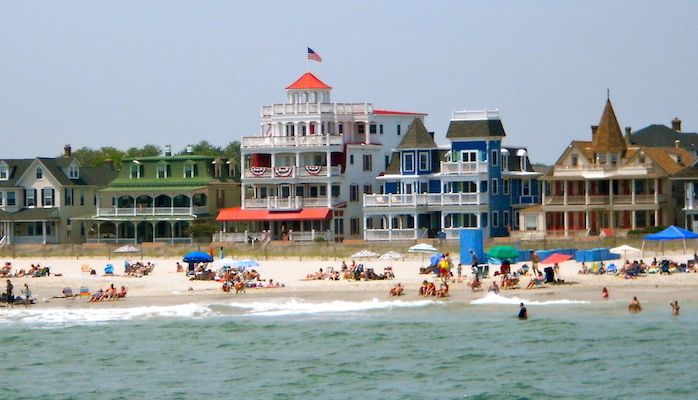 The seaside resort of Cape May is a National Historic Landmark town, at the southern end of the Jersey Shore. It’s one of the country’s oldest vacation destinations, known for its Victorian architecture, carnivalesque boardwalks, and avian observatories. 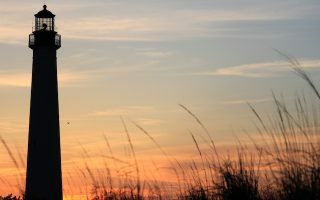 This guide for running in Cape May also includes the the boardwalks and paths of nearby Wildwood and Ocean City. When it comes to running in Cape May, the best options in town are Beach Ave and Cape May Point, and our Victorian Architecture tour. 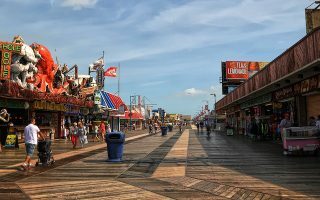 Nearby are the famed boardwalks of Wildwood and Ocean City. There are also several bike baths you can use to commute up and down the peninsula, including the Cold Spring Bike Path and the Middle Township Bike Path. 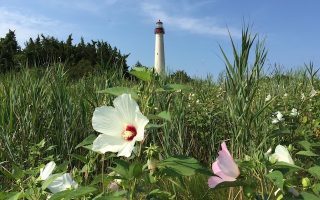 Those looking for trails and solitude can explore the paths of the Cape May Wetlands for beautiful views of the coast and lighthouse. Cape May is small, so getting around on your own two feet is an easy endeavor. However, there is a park and ride trolley which circles the main part town. Otherwise, you’ll need a ride to get to some of the northern routes. The wide paved sidewalk along Beach Ave has great views of the ocean and prime beachfront properties. An out and back from one end to the other is 4 miles. The homes of Cape May are considered one of the largest collections of 19th century architecture in the country. They're all in a compact area, so we've designed a neat 2-mile run on the best 'Victorian' streets. Combibe with Beach Ave. for more mileage and architecture. This route traces the wide shoulders of Sunset Boulevard out to Sunset Beach, and then a jaunt down Lighthouse Ave around Cape May Point, home to the scenic Cape May Lighthouse. Pleasant, quiet, scenic. 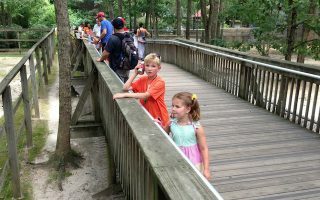 For a taste of pristine Cape May, set away from the boardwalk crowds, set out for a short (up to 3.3 mile) loop on the trails and boardwalks of Cape May Point State Park. A classic Jersey Shore boardwalk, and a treat for running. The concrete and wood boardwalk follows the coast 3+ miles from near Wildwood Crest to North Wildwood. Good ocean views and festive atmosphere. Wildwood Beach, at 4+ miles, is also great for running. 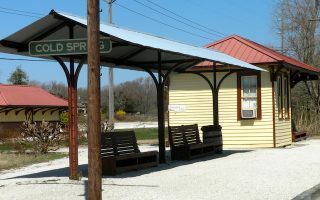 The Cold Spring Bike Path is a 2.75 mile paved route which spans from Seashore Road in Erma to Sandman Boulevard in Cape May. Solid inland route, offering good shade on a hot day. A favorite day trip for visiting runners is to run to the Cape May Winery. Beginning near the zoo in Cape May Courthouse, the Middle Township Bike Path continues south for about 6 miles towards Rio Grande. You can also do a 5k cross country loop through the zoo grounds. 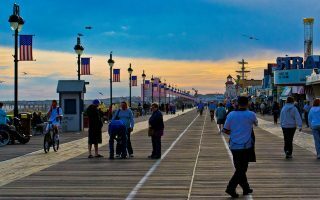 Though it can be busy at peak hours, the old fashioned boardwalk in Ocean City is a fun and festive route, stretching 2.5 miles along the beachfront. 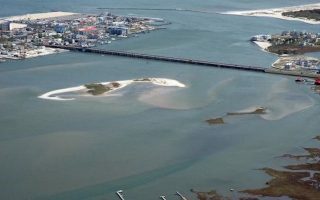 The 5-plus mile Ocean City Bike Path spans across the bridges of the Rainbow Channel with great views of the island speckled coast. 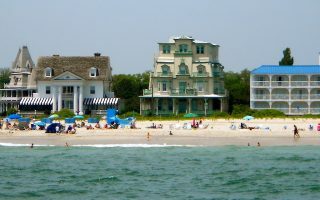 Cape May weather is typical of the Jersey shore. Summer is peak season and is hot, with average high temps of 85F and quite humid. You might need to go early/late or seek shady running on hot days. 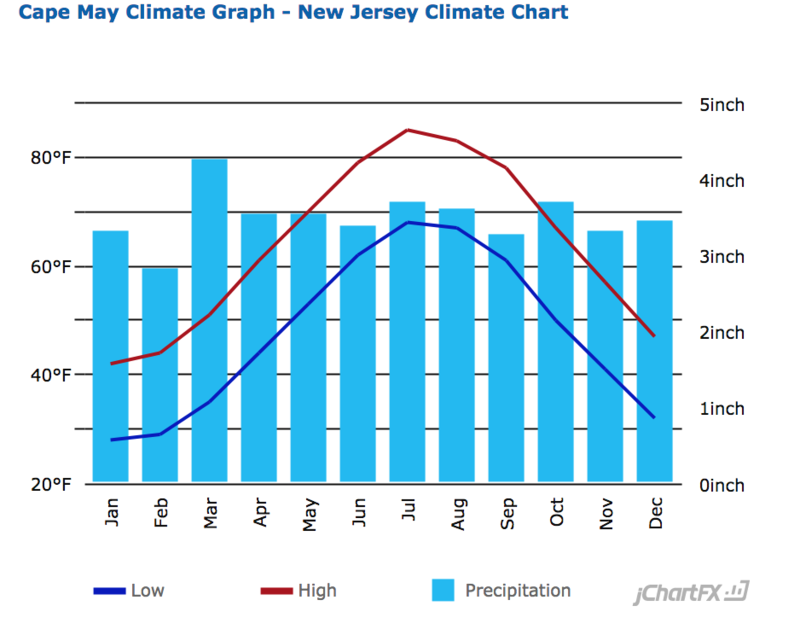 The best running season on the Shore is in fall, with still warm temps. Winters are cool and wet, with the ocean effect moderating the temperatures and the keeping down the snowfall. Spring can be gorgeous, but if the wind is blowing from the east, it can keep skies overcast and temps down compared to inland. 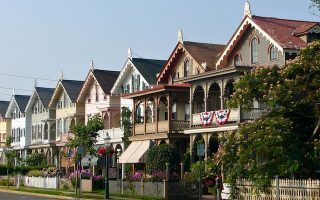 You can find lodging information about Cape May at capemay.com. Cape May Running Company is the go to destination for runners right in town. Also be sure to check out The Sneaker Shop in Ocean City. You can find a race calendar at NJShoreRun.com.